In the last century, America has harmed many countries. One of these is Turkey. Bush and Obama are the presidents of America. They started The Middle East war in Iraq and Afghanistan so this situation affects Turkey in a bad way. Relations have detoriated between Turkey and America because of American Army strategy, financial crisis and The Big Middle East Project. In my opinion, America has made really big mistakes against Turkey. Therefore, American’s council should make new plans in Turkey and The Middle East. Firstly, America has the second largest army in the world. Moreover, America commands NATO and Turkey is a Nato member. For example, each year a certain NATO military group makeS the military work in İncirlik and Urla. These groups depend on NATO controls. Although Turkey and America are strategic partners, America declares war in Iraq, which is neighboring Turkey. In addition, Turkey is only muslim military stracture in NATO. America sends NATO’s soldiers in Iraq which is another muslim country in Middle East. In my opinion, the failure of America to run NATO army strategy and this development affects Turkey and America in a bad way. Unfortunately, Some people can’t believe this strategic mistake because NATO is a important military group and Turkey mustn’t leave this formation. Moreover, These people are say that Iraq war will be profitable for Turkey and we will have oil wells. Personally, I can’t believe it and America has really big army problem in Turkey. Lastly, The most important mistake of America is Big Middle East Project. This Project breaks into pieces Turkey. For example, When America needs to give support to Turkey, It helps enemies of Turkey in Middle East. There are Armenia and Kurdistan. America and Turkey are in alliance in Middle East. However, America wants to divide the largest Turkish army and nation Turkey. America creates new countries and makes plans with Armenia and Kurdistan. These contries don’t have experience and strong history. There are only pawn in Middle East so America makes a plan with smaller countries. Because of this mistakes, America affects Big Middle East Project in a bad way and its plan collapses in the future. Unfortunetly, Some People can’t believe these wrongs. They think that Big Middle East Project is benifical for Turkey. For Example, America builts new pipelines and stops terror in Middle East. PKK will be finish in Turkey. Sincerely I say that, Although America makes many mistakes, How do America correct problems in Turkey? Absolutely, I can’t believe Big Middle East Project and this Project gives damage Turkey and Middle East. 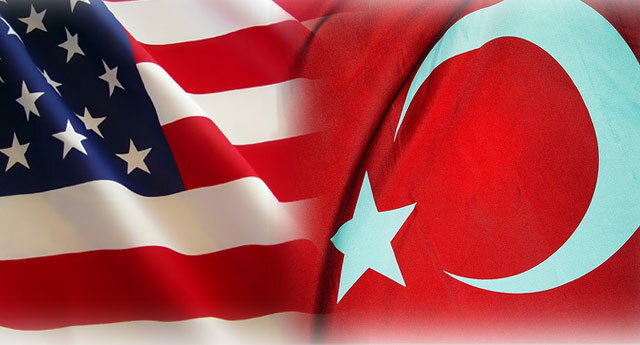 In Conclusion, Relations have detoriated between Turkey and America day by day. America has some strategic problems in Turkey. There are American Army strategy-NATO, Financial Crisis and The Big Middle East Project. Unfortunately, some people don’t believe these wrongs and these mistakes improve to make Turkey better. This thought is really nonsense and these people live in dream world. In my opinion, America has really big average for Turkey and I hope that America will be making wise plans in Turkey because These wrongs cause bad Relations between Turkey and America.